Newmark Knight Frank (NKF) has been selected as the exclusive office leasing agent for 3160 Fairview Park Drive in Falls Church. 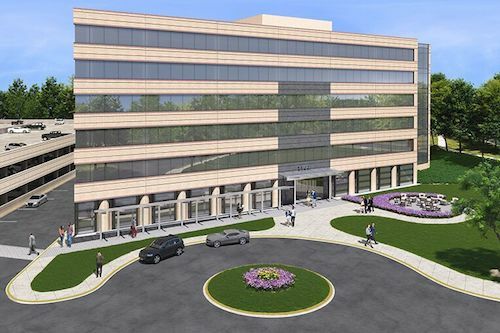 Recently purchased by Washington Property Company, based in Bethesda, Md., and partner Bailard, the property is currently undergoing renovations to transform it into an opportunity for a corporate headquarters location. When the renovations are complete, the 118,000-square-foot building will have a new lobby, fitness center, conference facility and tenant collaboration area with lounge seating. According to NKF, the improvements also include the complete replacement of all building systems. Located in Northern Virginia’s Fairview Park, the building offers 2.5 miles of jogging trails, a parking garage and proximity to the Dunn Loring-Merrifield Metro Station, the Mosaic District, Tysons and I-495. “Given its location and new improvements, we believe 3160 Fairview Park Drive is an ideal corporate headquarters opportunity in the highly sought after Fairview Park setting,” NKF’s Executive Managing Director Mike Pepper, said in a statement. Current tenants at Fairview Park include General Dynamics, Northrop Grumman, Computer Sciences Corp., HITT Contracting and Booz Allen & Hamilton. Pepper and NKF Managing Director John Henschel will handle leasing for the office space.